SUPRATEC Gesellschaft für Umwelt- und Verfahrenstechnik mbH was created by the merger of two established companies: SUPRAFILT GmbH and OXYFLEX GmbH. This strong alliance offers you more than 40 years of experience in waste water aeration with a proud history of more than 4,500 waste water treatment plants where our systems have been installed. 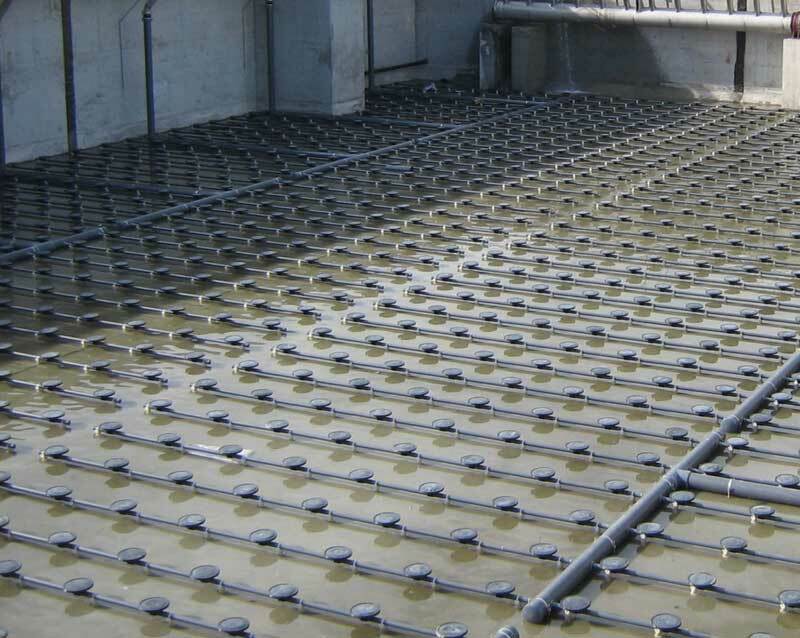 The combination of many decades of experience with state-of-the-art manufacturing processes and materials allows us to fulfil the ever-increasing requirements of an energy-efficient high-quality aeration system. 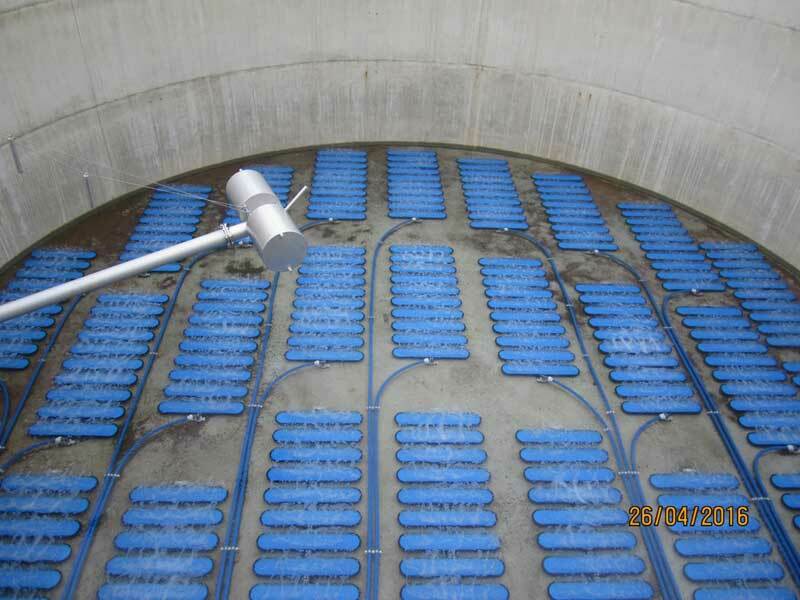 Our aeration systems are used worldwide for the energy-efficient oxygen supply of biological processes in the waste water treatment sector. OXYFLEX® and PERMOX® products are used for the aeration of liquids of all kinds. Supratec Gesellschaft für Umwelt- und Verfahrenstechnik mbH plans, project-manages and supplies suitable systems and solutions for all requirements of fine-bubble and coarse-bubble aeration for both the German market and the global market. Customers have acknowledged Supratec Gesellschaft für Umwelt- und Verfahrenstechnik mbH for its highly competent energy-saving optimisation concepts. We have more than 40 years of experience in process engineering. 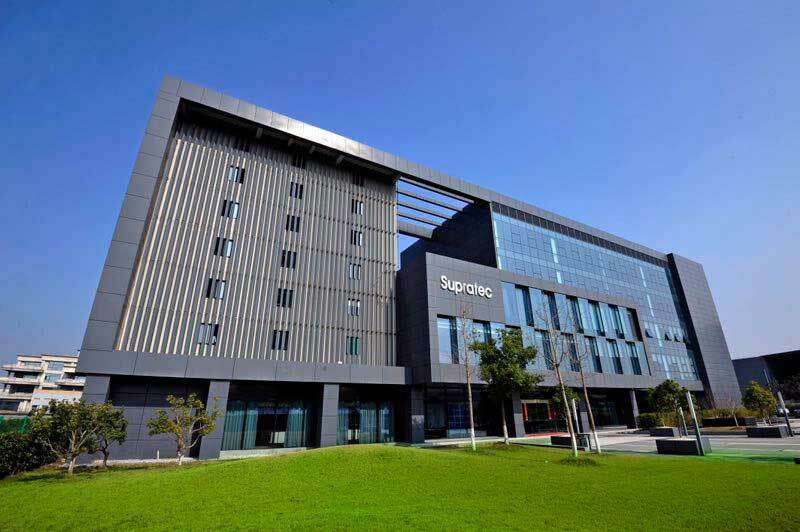 Therefore, we are able to continuously optimise our range of high-quality products and services. Our highly motivated employees are working in close cooperation with our customers and will always strive to find optimum solutions for your specific requirements. 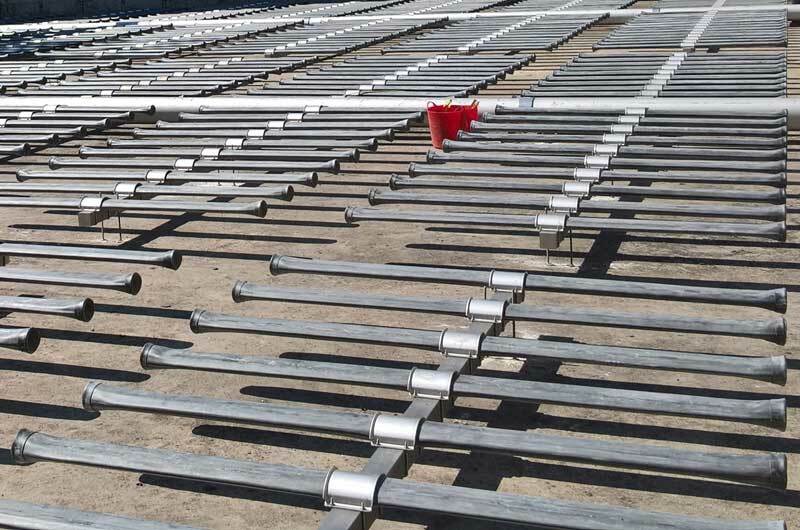 The main objective is always to reduce costs at times of high energy consumption. One of our core principles is energy efficiency, and we keep this in mind whenever customers approach us in order to support them with their requests as well as making them aware of potential savings. Quality management includes all organisational measures which increase the process quality, the performance and thereby the product quality. The requirements of efficiency and effectiveness are ever-increasing worldwide. 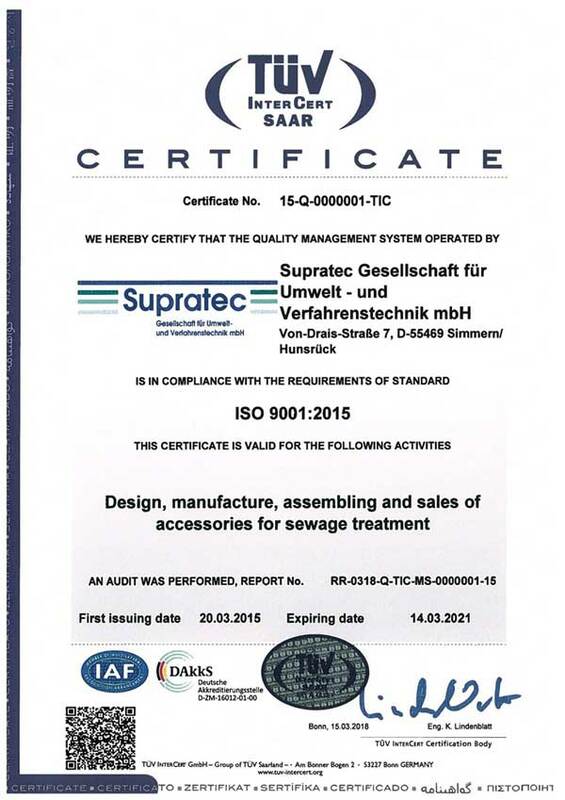 In order to comply with international standards, Supratec Gesellschaft für Umwelt- und Verfahrenstechnik mbH has been awarded the ISO 9001 certificate in 2011 with the objective to both maintain and continuously improve our workmanship, the quality of our products and services as well as our business processes. In 2015, the quality management system was updated to fulfil the new requirements according to DIN EN ISO 9001:2015.